Everyone knows how important getting a good nights sleep is, we hear about it all the time! However, with our busy schedules and late nights out on the town it is often very difficult to get those ideal 8 hours. And how typical is it that your exhausted all day and then you lay down to go to sleep and, low and behold, your suddenly wide awake! Here are some ways that have been tested and approved to help you fall asleep quicker and get more shut eye! -Another note: I usually drink my tea around 8:30pm instead of directly before getting into bed. I do this because tea tends to "go right through you" like coffee and soda (aka it makes you pee a lot). So, to avoid those 7 trips to the bathroom which will only prolong the falling-to-sleep process (and make your significant other/roommate significantly annoyed! ), have your tea an hour-hour and a half before you plan on getting into bed. -You may be very busy right up until the time you need to get into bed, whether its with homework, your job, or a social event. However, I think it is really important to give yourself at least 30 minutes of "detox" before trying to fall asleep. This may involve surfing the internet, going on Twitter, even knitting! 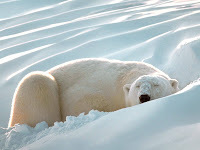 Whatever takes your mind off of the million things you have to do the next day and allows you to zone out will suffice! -Trust me, anyone that knows me knows that I ADORE naps. That wonderful time in the middle of the day when you can become dead to the world and fall into the most relaxed state you can imagine! HOWEVER, as insanely pleasurable as naps are, they will make it more difficult for you to fall asleep at night. 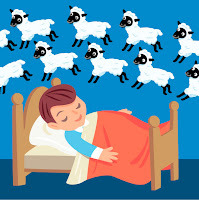 -It turns out there is some truth to that old adage of counting sheep before bed! I have found that when my mind is really racing about a million different things, focusing on counting and deep breathing helps to bring you down a notch and get closer to falling asleep. -How to: Simply try and focus your mind completely on counting (forwards or backwards) while taking deep breaths. Your mind will naturally want to wander back to the other things, but consciously try and think only about the numbers. This will help decrease the anxiety surrounding your to-do list for the following day because you won't be running lists in your mind. Hope this helps! Leave comments below of your tips and tricks for a great night sleep!